I meet, on average, 4 founders of new startups each week. Some at the concept stage, others at the prototyping stage, and still others, albeit a minority are looking for co-founders, team members, etc. Building a startup is a team sport. The single biggest mistake a founder can make is to try to go at it alone. The second biggest mistake is not having the right rubric when selecting their team. Industry research firm CB Insights’ postmortem of failed startups lists having the wrong team as the #2 reason for failure. So what do you do if you find yourself in the position of choosing a co-founder or first employee(s)? Reading books like Jim Collins’ “Good to Great” help. Advice like “surround yourself with the best people” and “get the right people on the bus” sounds good but frustratingly abstract. Here’s another way to look at it. If you are evaluating more than one person for a role, say a technical lead or a business lead, and all are fairly evenly qualified, don’t automatically select the one most functionally proficient or the one who agrees with you. Be sure to take the candidates’ values into consideration. 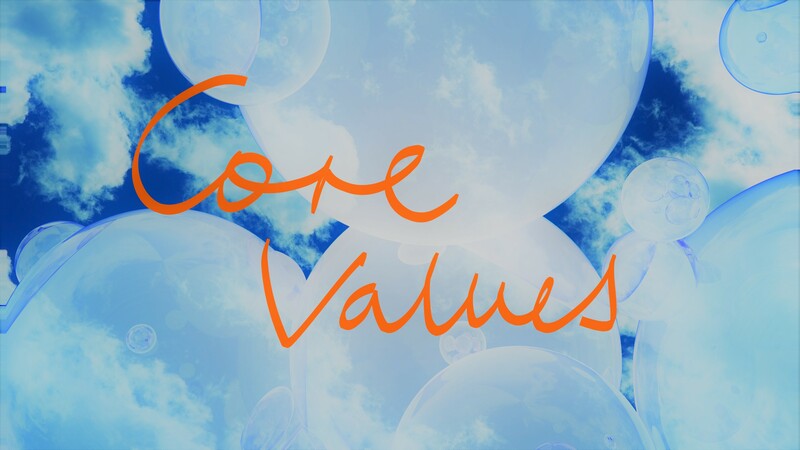 Do they align with your core values? There was once a startup, let’s call them GreatCo, with three co-founders. All three were talented in their respective functional areas. They were college mates and decided to launch the startup together after spending time in Corporate America. Two had equal equity positions and the third a slightly smaller stake. Things were moving along. There were the usual startup bumps but nothing too catastrophic. Of the three, two were more fiscally conservative than the third. These two also possessed lower risk thresholds. When things were going well, these two went along with some of the practices considered unusual for a cash flow negative startup such as automatically upgrading everyone to the latest laptops, tablets and phones whenever a new model was introduced and the renting of luxury vehicles for every sales road trip when the sales person, usually the co-founder, could have used his own vehicle. Then the company hit a major roadblock. A decision made by the team did not pan out as planned impacting revenue. The third founder, also the less fiscally conservative and more risk-taking of the three, was sure that the set-back was temporary and that continuing business as usual was critical to maintaining culture and engagement. The disparity in core values caused strife among the founders which bled into the employee ranks and morale suffered. Performance suffered and the investors took notice. Things went quickly downhill. The fallout wasn’t just layoffs, investors brought in new leadership and the three no longer are friends. Had the three shared core values, and communicated openly about concerns, the company could have weathered the set-back more productively and things could have turned out differently. GreatCo’s story isn’t uncommon. In my 19 years working at and alongside startups, I’ve personally witnessed founder disagreements tear once promising startups apart. How do you go about evaluating if someone shares similar core values? Start with identifying yours. The core values that are at the bottom of most disagreements have to do with risk tolerance, frugality or the lack thereof, and the emphasis placed on winning versus winning the “right” way. Your core values serve as the “true North” when interviewing co-founder candidates. Formulating interview questions that will help uncover a candidate’s core values will go a long way toward helping you form a winning team. Bottom Line: Getting the job done matters. But how a job gets done can mean success or failure when things are not going well.